Pipeline construction projects can have a significant impact on the environment if companies don’t minimize it. Every aspect of construction produces a measurable impact, not just pipelines. From the mining processes used to create materials to a project’s waste disposal measures, it is imperative to decrease your environmental impact on the ground, water, and air. Here are 5 ways to minimize the impact of your pipeline construction project. A construction project’s largest negative impact on the environment is through the burning of fossil fuels to run the equipment needed. 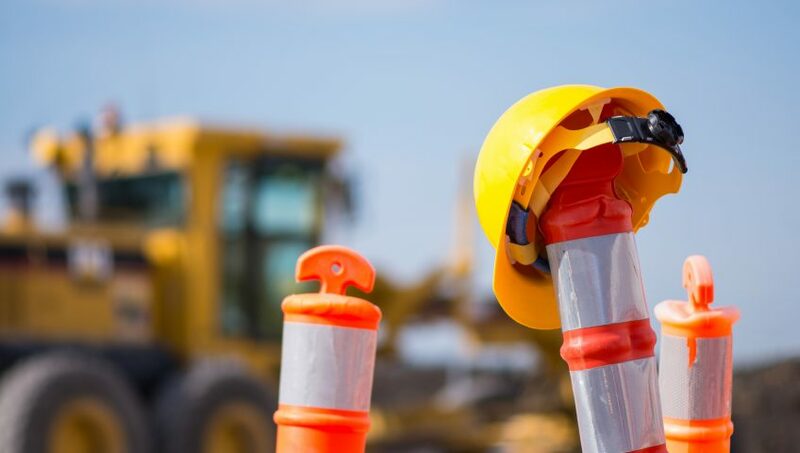 Construction projects use a lot of gas and diesel engines that produce methane, carbon dioxide, and other harmful waste products that pollute the air. Scientists believe air pollution contributes to global warming, which raises a host of concerns about mitigating this factor. Don’t leave vehicles idling; turn them off when not in use. Consider using hybrid equipment that uses less fossil fuels. Find greener alternate fuel sources. These suggestions can help you limit your pipeline construction project’s fuel usage and to decrease the pollutants you release into the air. Construction noise is a major irritant for many. The machine produces significant noise during all phases like site preparation, demolition, and even landscaping. If your pipeline construction site is near homes or businesses, you might face hefty noise complaints. By adhering to noise restraints and local construction time restrictions, you can minimize your noise impact on the surrounding areas. For example, most people frown on construction sites that ramp up loud excavation equipment at 6 a.m. on a weekend day. A common courtesy is to send a letter to neighbors before your pipeline construction project begins. You can let them know how long the project will take and what they can expect. According to Statistics Canada reports, construction waste accounts for around 12% of all solid waste generated in Canada. Disposing of your construction waste by adding it to landfills or burning it harms the environment. Can you salvage, reuse, and recycle materials? Consider how you can reuse materials for future projects or even donate them to others who need it. For example, certain construction materials can be recycled and used as fill or driveway bedding. And metals and wood can always be recycled, saving the environment. You can find a wealth of green building technologies to help you decrease your environmental impact. Consider how traditional methods use sandbags and other dewatering solution, which are expensive and time-consuming—and can’t be reused. A new, reusable technology would be inflatable water dams. These innovative devices combat erosion and water runoff and prevent sedimentation. They also can be reused on future projects and take up little space. In addition, inflatable water dams are easier to install and more environmentally friendly. Expedite your construction to reduce traffic disturbances and your emissions and fuel costs. When you establish and stick to site completion goals, you can better stay on track and minimize your overall footprint. Speeding up your construction schedule reduces noise, air, and even water pollution. It also protects wildlife and vegetation by reducing its exposure when you stick to a tight schedule. For example, pipeline construction companies should consider planning construction for a particular season and avoiding sensitive areas to minimize the disruption to animal movements and vegetation. Decrease your negative impact on the environment by following the above suggestions. Green and reusable technology, limiting your project’s length and fuel use, and reusing and recycling waste can all make a big difference in the impact on the environment. After years of operating under the LNB Construction name, all subsidiaries will now operate under the single brand name of parent company, Infracon Construction Inc, conducting business as Infracon. Through strategic mergers and acquisitions, including LNB in 2012, Minex in 2015, and the number of strategic partnerships with Indigenous Peoples growing exponentially, rebranding to the single name Infracon will solidify the company’s corporate strategy and position each division for nationwide and international growth. Infracon looks forward to continued business with all clients and vendors moving forward under the new brand name.